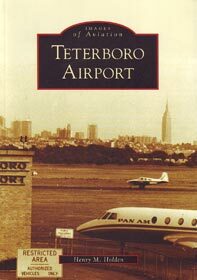 Teterboro Airport has been in continuous use since 1916 and was once the busiest airport in the country. In 1925, the Fokker Company opened an American subsidiary, the Atlantic Aircraft Corporation, and Teterboro-built Fokker trimotots dominated the industry for a decade. In the 1920s and 1930s, record-setting flights became a national obsession, and many of the flights originated or terminated at Teterboro Airport. In 1939, the Goodyear blimp Mayflower made daily sightseeing flights over the New Yorl City world\'s fair. In 1952, television personality Arthur Godfrey buzzed the control tower while taking off in his DC-3. The Port Authority of New York and New Jersey purchased the airport in 1949 and made major investments in airport infrastructure. Today the New Jersey Aviation Hall of Fame and Museum is located at the airport.